Alice Specialised Medicine (ASM) can expertly assess your medical needs, providing you with the best possible advice on the appropriate treatment or management for your health complaint. We treat men and women of all ages, from early childhood to the elderly. When you come to ASM you will receive the best treatment available. Alice Specialised Medicine offers a range of health clinics, including flu clinics, Aboriginal & Torres Strait Islander health checks, “at risk of diabetes” checks, 75 yrs checks & asthma management plans utilising Medicare so there is no out of pocket expense. If you are interested in attending one of our clinics, please speak with our receptionist Lynlee. 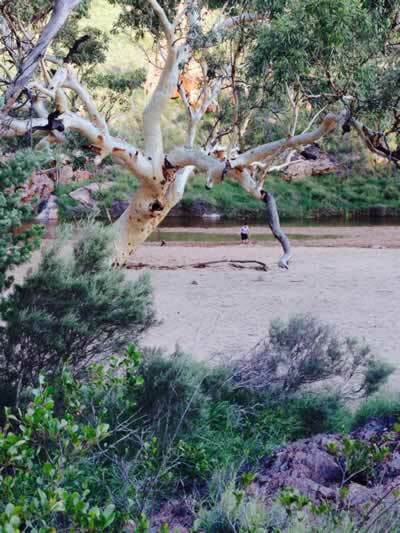 (ASM) provides a range of specialised services to our patients and we pride ourselves on being able to deliver the highest quality services in Alice Springs. If you need diabetes advice, musculoskeletal treatment, travel inoculations/advice, mental health care, fertility information, and obstetric care book an appointment with ASM. A chronic disease is defined as being present for at least six months, including asthma, cancer, cardiovascular diseases and stroke. Patients with a chronic disease require multidisciplinary treatment or ongoing care from a GP and at least 2 other health care professionals. ASM provide a chronic disease management system for patients who require multiple levels of care for their condition. This plan allows us to coordinate the health care of our patients during their treatment by each health care professional. Diabetes is a chronic condition, impacting people of all ages. 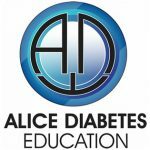 In Australia, the disease affects nearly 1 million people yet probably another million people have the condition or impaired glucose tolerance (pre-diabetes) but are unaware. Your body requires insulin to convert glucose into energy, an essential process during digestion. In people who suffer from diabetes, insulin is either not produced, or is produced in insufficient amounts. When a diabetic consumes products containing glucose, it stays in the bloodstream, instead of being fed to your body as energy. ASM have a range of equipment and techniques on hand to assist us in diagnosing medical conditions within our patients. These include audiometry, ECGs and spirometry. Audiometry is a type of hearing test, which can tell you the type and degree of hearing loss you may have incurred. From this we can determine what treatment is required. An echocardiograph (ECG) uses a machine to measure and record the electrical activity in the heart. It can be used to diagnose a wide range of heart problems, including congenital defects, tachycardia, bradycardia and coronary artery disease. Spirometry is used to test your lung capacity without physically examining the lungs themselves. Spirometry can diagnose lung disease and help in the planning of treatment. ASM can provide a range of services to ensure the good health of your children. From the infant stage, we provide information on breastfeeding, coping with sleeping problems, administering immunisations and general health issues. However we no longer have the capacity to see “sick kids” on the day. If parents have concerns with development or behaviour Dr Deb Mitchell may still be a suitable resource due to her previous paediatric experience & can facilitate appropriate referrals if required. Our team provides ongoing health care as your child grows, and you can feel comfortable returning to ASM for all your child’s health needs. Our health services include child behavioural issue assessments, asthma management, infections, hearing tests and much more. The GP Mental Health Care Plan defines services for which Medicare rebates are payable when GPs undertake early intervention, assessment and management of patients with mental disorders. They include referral pathways for treatment by psychiatrists, clinical psychologists and other allied mental health workers. The GP Mental Health Care Plan includes the assessment and administration of an outcome measurement tool, providing appropriate treatment or services, and reviewing or implementing ongoing management as required. Each step of the plan is fully documented in the GP Mental Health Care Plan folder, which can be transferred to the psychologist or psychiatrist of your choice. Musculoskeletal medicine addresses the pain in muscles, ligaments, joints and bones. We use non-invasive treatments to treat musculoskeletal associated pain, including spinal mobilisation and manipulation, physical therapy, dry needling and pharmacotherapy. ASM treat any musculoskeletal conditions, including back pain, neck pain, sports injuries, shin splints, frozen shoulder, osteoarthritis, knee pain, neck and shoulder tightness, plantar fasciitis, soft tissue pain and tennis elbow. If you are suffering from pain as a result of any of these conditions, book an appointment with ASM as soon as possible as Dr Deb Mitchell has done post-graduate training in musculoskeletal medicine through Flinders University. Every year over 500,000 Australians are treated for skin cancer, with 95% of cases curable if they are caught early enough. Skin health assessments with Dr Deb Mitchell is another service our centre offers to our patients. 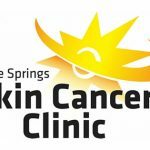 Skin health clinics are now held 2 -3 times a week with our Alice Springs Skin Cancer Clinics. When Dr Mitchell performs a skin check, you will need to undress, so wear appropriate clothing. Dr Mitchell will then use a dermatoscope to examine you. The dermatoscope magnifies her view of the skin, which helps Dr Mitchell to perform a thorough examination. If any areas of concern are identified, it may be photographed for later review, or recommended for removal. When booking, please advise staff you require a skin health check so that they can book the appointment accordingly. 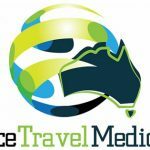 If you are travelling overseas, it is recommended that you consult with your doctor for travel advice at least 2 months prior to your departure, particularly if visiting multiple locations over an extended period. When seeking an appointment for travel advice, please note our doctors recommend an extended appointment is booked. This allows ample time for advice and vaccinations to be delivered. Our standard appointment is 30 minutes but if you have a complicated itinerary a longer appointment may still be required. It is recommended to fill in our NPI travel sheet prior to any such appointment. ASM cater to the health issues that directly impact, or are more common for women. Some of these services include family planning, pregnancy support, breast care, cervical cancer prevention, childbirth advice, menopause guidance and stress management. We can also provide a referral service for women’s health workers, including domestic and family violence support staff, sexual assault referrals and counselling if required.